Proskida's proprietary coupler allows grips to be easily moved between poles without tools. Proskida's coupler mounts like a typical grip and the grips use standard adjustable straps. Proskida's grip weighs only 50 grams more than a standard high-end grip. 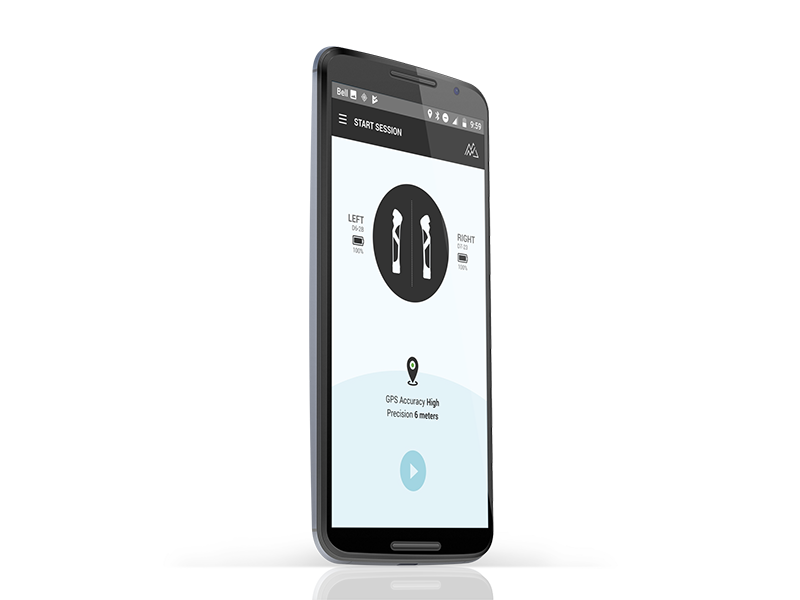 Proskida's app collects skier's force, efficiency and other cross country ski specific metrics such as cycle rate in real time via Bluetooth. Turn on and off sensors, check battery levels, update your grips - the Proskida app lets you fully control and manage your grips. View data such as impulse, peak force, cycle rate instantly after a training session. You can compare over time or segments within the session itself. Proskida makes it easy for coaches and athletes to work together and share data. Import your smartwatch data, such as heart rate. This is your data, so you can export all your Proskida information. Sign up to get exclusive updates on the tools we’re building.